Gently relishing a piece of jaggery until acidity subsides is a perfect home remedy for acidity. A glass of cold milk gives instant relief from this problem. Chewing of few basil leaves keeps acidity, gas and nausea at bay. Eating plenty of cucumber, water melon and banana keeps away acidity. Drinking coconut water relieves acidity. Every meal should be followed by a drink of fresh mint juice. This is the best acidity remedy. Consumption of yoghurt gives instant relief from this problem. Soda water effectively treats acidity problems. Chewing ginger helps to subside acidity. One may take a mixture of 1 tablespoon honey and 2 tablespoon natural apple cider vinegar before meals to avoid this problem. Intake of 2 teaspoons of white vinegar along with meals prevents acidity. Intake of tea and coffee should be replaced by the intake of herbal tea consisting of spearmint or licorice. One may boil cumin seeds in a glass of water, strain and drink the water after each meal. 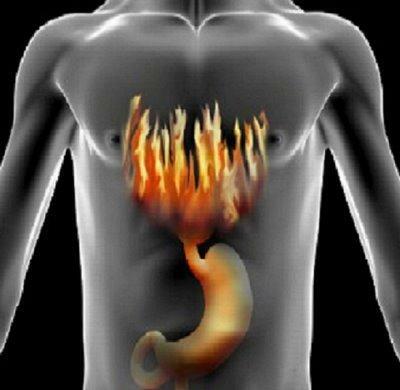 This effectively treats acidity. Drinking half a glass of butter milk with one tablespoon coriander leaf juice mixed in to it is an effective home remedy for acidity. A daily drink of cabbage juice checks acidity. Maintaining a standing posture after meals, checks acidity. Drinking one or two glasses of water in empty stomach early in the morning keeps acidity away.